To those who have been forsaken, hell has no geography. 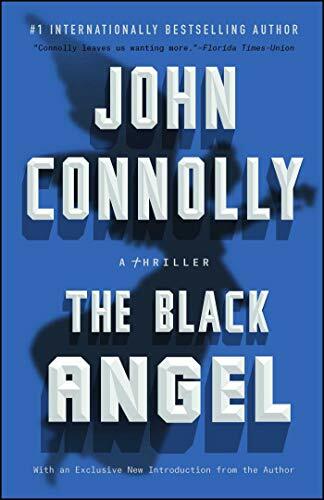 The Black Angel begins with the disappearance of a young prostitute from one of New York City's seamiest neighborhoods. Like so many tormented souls before her, the girl's mother is inevitably drawn to Charlie Parker's doorstep desperate for redemption and revenge. Despite the danger that his chosen profession imposes on his wife and newborn daughter, Parker knows that the woman and her troubles cannot be ignored. As always, he is driven as much by the evil that simmers in the hidden honeycomb world as he is by the ties of friendship and blood. As Parker gets closer to the girl's captors, he discovers that her disappearance is linked to a church of bones in Eastern Europe, to the slaughter at a French monastery in 1944, and to the myth of an object known as the Black Angel -- an object considered by evil men to be beyond priceless. But the Black Angel is not a legend. It is real. It lives. It dreams. And the mystery of its existence may contain the secret of Parker's own origins.